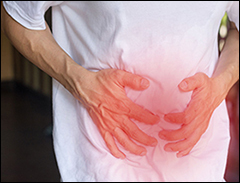 Ulcerative colitis is a type of inflammatory bowel disease that is responsible to rupture large intestine or colon. This disease causes severe irritation and inflammation. According to Ayurveda panchtatva (five elements- air, water, fire, ether and earth) and tridosha (three energies- vata, pitta and kapha) are the major components of human body. Equal balance of all three energies are responsible for good health and imbalance of above three energies leads to cause various disorders. In the same way aggravation of pitta dosha in body, is responsible for causing ulcerative colitis. In Ayurveda, Ulcerative colitis is mentioned as pittaj garahani. From ayurvedic point of view, excess intake of pitta aggravating food results in the formation of poisonous sticky material called AMA in digestive system. This material further clings to the walls of intestine and causes ulcerative colitis. To get rid of this serious illness one should avoid dairy products and foods that are responsible to accumulate extra pitta dosha in body. 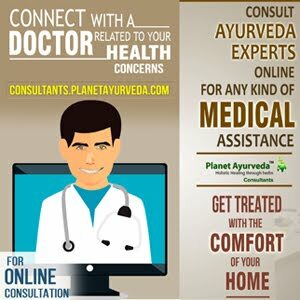 Planet Ayurveda provides you the best ayurvedic medicines for ulcerative colitis in the form of Ulcerative Colitis Care Pack. Supreme quality of herbs are used to prepare this miraculous pack. Arjuna capsules, Pitta balance, Kutajghan vati and Vataskadi churna are four top ayurvedic medicines for ulcerative colitis available at house of Planet Ayurveda. Standardized extract of bark of arjuna tree is used to prepare this formulation. Tree bark of this plant is famous for wound healing and protecting cardio vascular system. Harmful substances and free radicals are responsible for the rupture of endothelial layers of arteries. This herb is used to protect blood arteries from these toxins. It also works wonderfully on the internal lining of intestine and helps to heal intestinal wounds and ulcers. This herb is also effective for cardiovascular system and very effective in the patients that are suffering with excessive blood loss in ulcerative colitis. To improve overall strength and haemoglobin levels in body this herb is very powerful. Arjuna capsules is good anti-inflammatory, analgesic and anti-oxidant in nature. Herb used to prepare this powerful supplement are richest source of calcium, copper, zinc and magnesium. Dosage – 2 capsules twice daily after meals with normal water. Kutaz - Kutaja (Holarrhena antidysentrica) is wonderful ayurvedic herb that helps to pacify pitta and kapha doshas. Basically in Ayurveda this herb is used to treat diarrhoea and irritable bowel disorder. Bark, seed, fruit and flowers of this herb are well known for its medicinal properties. But bark of this herb is antihelmintic, amoebicidal and astringent in nature. It is used to treat dysentery and other gastric disorders. Bilva - Bilva is second herb used to prepare this formulation. In Ayurveda, this herb is mentioned under the category shothhara herbs used to relieve excessive inflammation. In the same way it used to reduce inflammation of intestine in case of ulcerative colitis. Also used to relieve diarrhoea, dysentery, vomiting and excessive thirst. Bilva is that herb which is used to regulate proper body energies. Saunf - Saunf is richest source of iron and very helpful to regulate normal haemoglobin levels. In Ayurveda, this herb is used to improve strength and immunity, ayurvedic term used to recognize these properties are BALYA. It is used to relieve burning sensation. Fruits, fruit oil and roots are major parts of this herb is used in various ayurvedic supplements. Dhania - Coriander seeds and leaves are used in Indian cuisines though this herb is also well known for its therapeutic and medicinal properties. It is categorized under sheetprashmana and trushnaprashmana gana it means this herb is used to relieve burning sensation and excessive thirst. It also used to cure pain and cramps. It is very effective in ulcerative colitis sufferers. Nagarmotha - Cyprus rotundus” is botanical name of nagarmotha. This plant contains numerous chemical compounds and well known for its therapeutic effects. This effective herb is used to maintain good health of digestive system. Anar - Pomegranate (Punica granatum) is very nutritious fruit. All the parts of this tree like fruit, bark, fruit rind and roots have medicinal properties. It helps to gain the lost blood levels and sweet fruit helps to maintain the balance between all three doshas- vata, pitta and kapha. This herb is also balya in nature provides body strength. Chotti Ealachi - “Elettaria cardamomum” is latin name of this herb. It is called king of spices. This herb is used as laxative and used to relieve severe pain in stomach and good for digestive system. In ulcerative colitis patients this herb helps to reduce inflammation and to prevent diarrhoea. Jaiphala - Nutmeg is a very good aphrodisiac herb and used as a good digestive tonic. Very effective herb used to relieve diarrhoea with bloating and helps to reduce severe abdominal pain. All the above mentioned herbs are used to prepare this effective herbal remedy for ulcerative colitis. Dosage - 1 teaspoon twice daily with normal plain water after meals and you can also boil teaspoon of churna in 400ml of water, boil it until it remains 50ml. Strain and drink the water after leaving residue. You can take it twice a day and make it fresh. 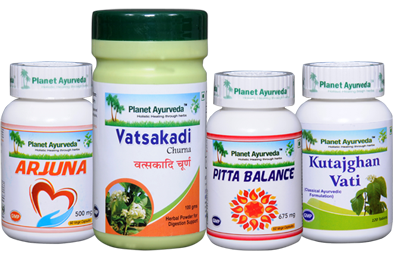 Pitta balance is herbal formulation of mukta pishti, jahar mohra pishti, kamadhenu rasa, praval pishti, akik pishti and giloy satva. Compounds used in this herbal formualation are rich is calcium. Presence of these rich calcium compounds Calcium control the internal bleeding in ulcerative colitis and cooling properties helps to sooth the internal lining of intestine. It maintains balance between all three doshas and mainly it helps to pacify extra aggregated pitta dosha in patient. Pitta balance is herbal remedy that helps to improve digestive fire and strengthen the intestine. Dosage - 2 capsules twice daily with normal plain water. Kutaja (Holarrhena dysentrica) is the herb used in the preparation of this herbal remedy for ulcerative colitis. This herb is well known for treating diarrhoea and irritable bowel syndrome. It supports digestive system and very effective to maintain good health of intestine. In Ayurveda this herb is called shelshapittahara – herb used to pacify both kapha and pitta dosha. This herb is effective to light up digestive fire and used to relieve bleeding disorders. Dosage - 2 tablet twice daily with normal plain water. Above mentions supplements are top four herbal remedies for ulcerative colitis. These herbal formulations are free from chemicals, any type of fillers and preservatives. Herbs used in above mentioned formulations are natural and pure. These all herbs makes a proper balance between all three doshas of body and promotes good digestive health.